Become a part of History by saving it! An earlier society was started in 1954, but was never chartered. Two hundred and four interested people joined forces to begin an investment of a wonderful historical society and museum. One of the first curators said, “There is no limit as to what a group can do, if no one cares who gets the credit and there are no ego needs. The hard work and dedication of these early members has left us the legacy of a strong foundation on which to continue to build. None of this would have happened without volunteers from the membership rolls. 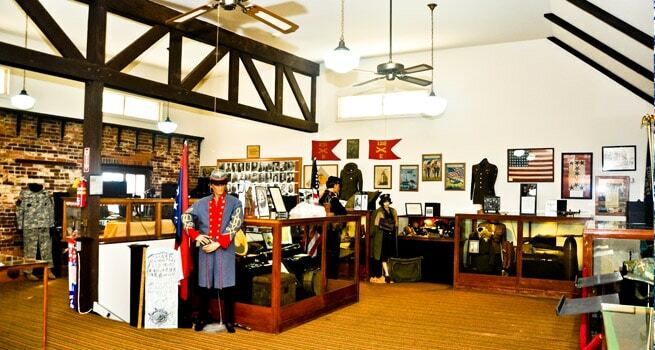 The Henry County Museum is not tax supported and depends solely on donations, guest fees and membership dues. Volunteers have literally moved buildings to the Homestead and they’ve made time stand still. The Henry County Historical Society and Museum are wonderful examples of what volunteers can do. People volunteer for a wide variety of reasons and all of our volunteers have all gained life changing experiences. You can be part of the movement to preserve history. Annual membership dues include free admission to all museum and museum-sponsored exhibits. Family membership dues are $30.00 and single members pay $20.00. You can help us share the wonders of Clinton’s History with others! We need volunteers for lots of different projects! Please help support the continued protection of Henry County’s rich history. We appreciate even the smallest of donations because every contribution, large or small helps us with our mission of protecting and preservimg OUR local history. Do you wish you could go back in time and live in another era for a day? 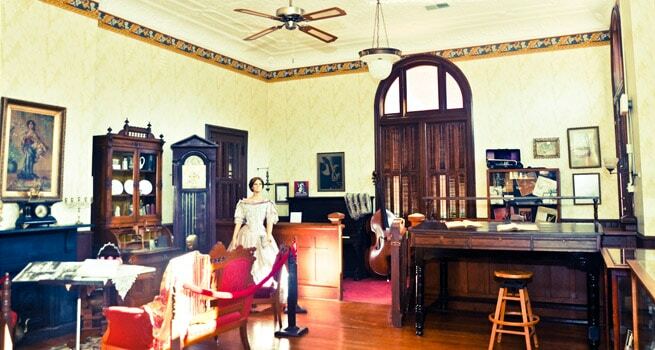 The Henry County Museum has a role for you as a docent, re-enactor or costumed character in a fundraiser. For group tours and the holiday open house, costumed docents greet visitors to the ante-bellum Dorman House. 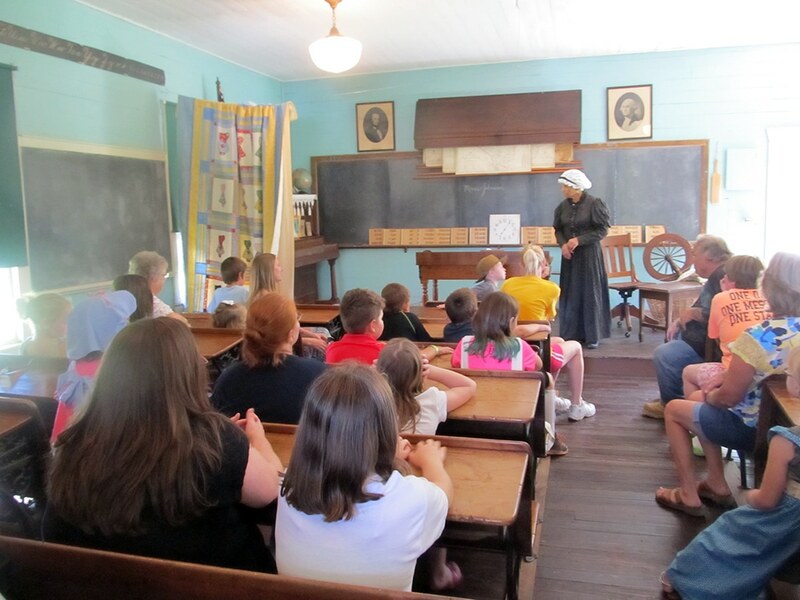 Volunteers, many of whom are retired teachers, also portray the teacher in the one-room schoolhouse on the Homestead for visiting school groups. Students find out first-hand what a day was like, complete with the original tablet — a slate. For the Cemetery Walk, volunteers in costume adopt the character and costume of a Henry County resident, standing at that person’s grave at Englewood Cemetery to tell the story of his or her life. Museum members with a flair for dramatics stage a Murder Mystery Dinner. Last year, the fundraiser was set during the Prohibition Era in a speak-easy where guests had to figure out who-dunnit from a cast of mob bosses, bootleggers and politicians. Are you a fan of the Little House books? 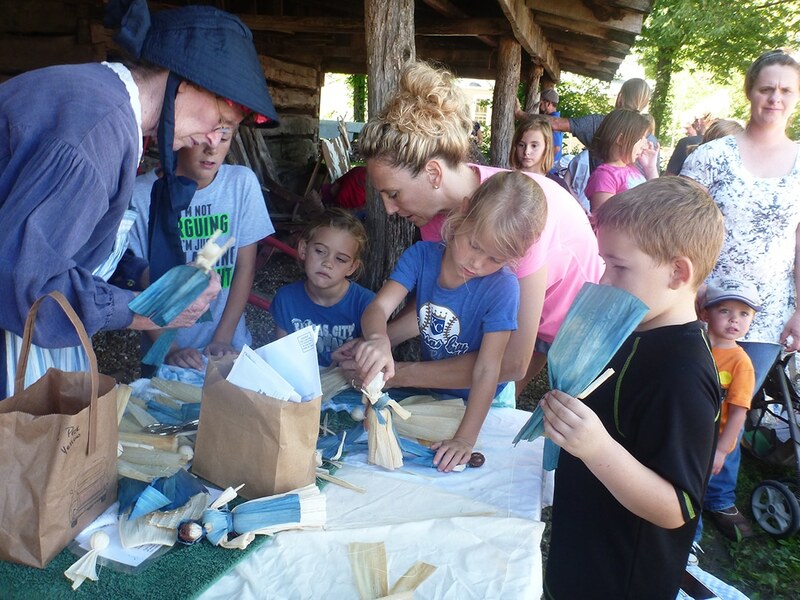 The Children’s Corner committee puts on four events a year for families that are “fun, free, with a hint of history.” Two are activity days on the Homestead, and oriented to rural life on the frontier — spring celebrations, fall harvest skills, etc. centered around the one-room schoolhouse, dog-trot house and grounds. The other two are puppet shows or presentations by visiting storytellers. Children’s Corner volunteers also offer crafts, caroling and treats on the Homestead during the Henry County Museum’s annual holiday open house. Volunteers also serve as docents in the Anheuser-Busch Building and 19th Century Village, leading visitors and group tours through the exhibits. An orientation session is offered. Greeters are stationed at the front desk to welcome visitors, collect admission fees and answer questions. Interested in tracing your family treee? 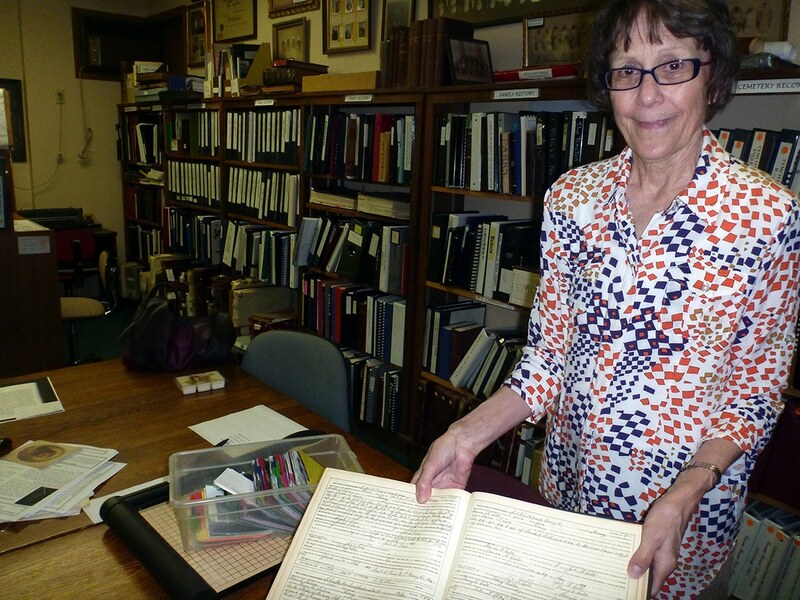 Volunteer as a research assistant in the Genealogy Library and learn as you go. Training and access to records are perks of volunteering in the library, as is hearing the stories of people who come in looking for information about their grandparents and great-grandparents. Want to find out how you can be a part of keeping Henry County history alive while enriching your life experience? Contact us through this form and read the information below! What is your motivation to volunteer? As a non-profit organization dedicated to preserving and sharing the rich history of this county, we greatly appreciate your generosity. 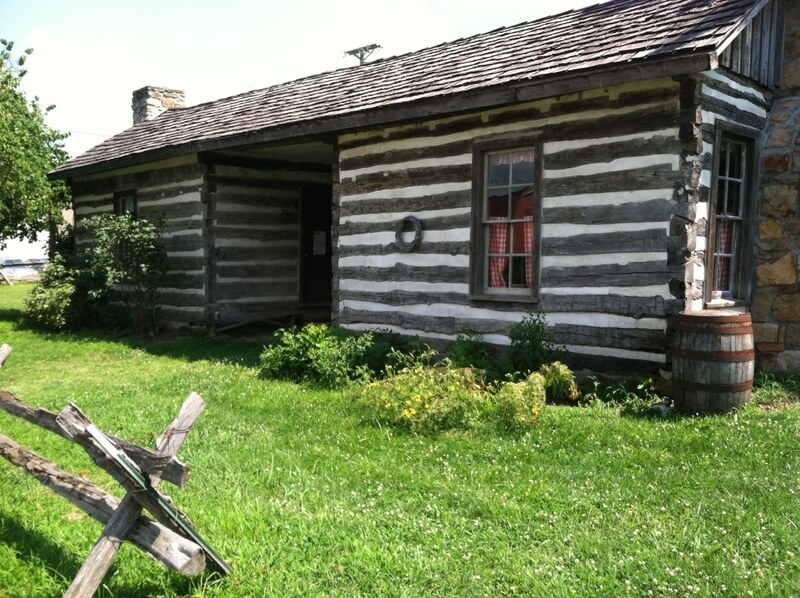 Any donations go towards efforts to maintain and improve the Henry County Museum. Click Button Below to make a donation.